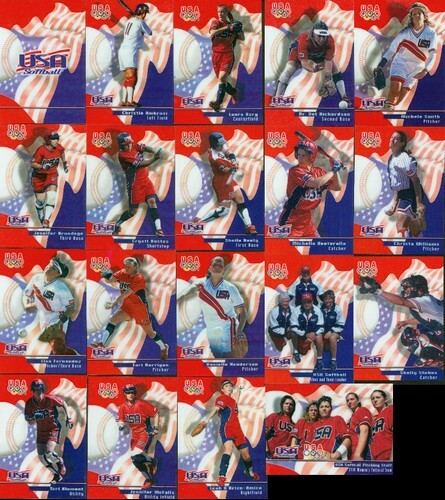 19 Card USA 2000 Women's National Softball Team Set by ROOX Sports. 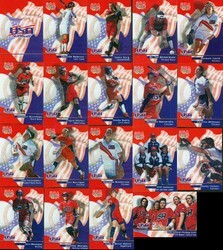 This set includes, 16 Player Cards, 1 Pitching Staff Card, 1 Coaches and Team Leader Card and 1 Roster Card. This is the "Flag" or "American" Edition. It comes in a high quality clear plastic case.